Milk is a regular part of most people’s diets in Canada. 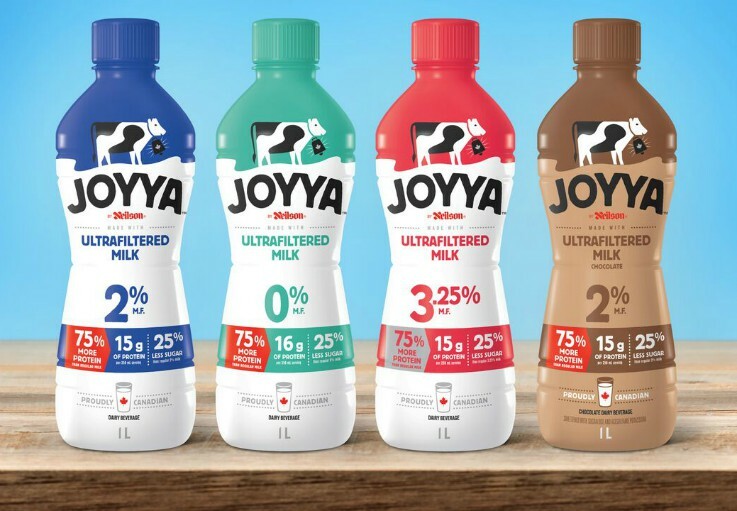 If you are trying to increase your protein and lower your sugar count you’ll be excited to hear about new Joyya milk from Saputo which is by Canadians for Canadians. Joyya Ultrafiltered Milk has 75% MORE protein and 25% LESS lactose (sugar) compared to regular milk. Saputo commissioned a nation-wide survey to find out more about Canadians milk drinking habits. The survey found that 43% of Canadians choose milk for its protein and 27% wish it had more protein. Well guess what Canadians your wish has come true. Check out this small infographic that compares protein content of various milks. The survey also showed that 50% of milk drinkers enjoy it by the glass, 72% consume it with cereal and just over 50% add it to coffee or tea. We go through a lot of milk here with 6 people in the house. Of course the big question is, what does it taste like? We found it did taste less sweet but it is definitely something you could get used to if you chose to switch to Joyya milk permanently. I fed the 2% milk to my 4 and 7 year old and they didn’t even notice a difference. My 12 year old tasted the difference but it wasn’t enough of a difference to stop her from enjoying the milk. The chocolate milk tastes almost like it’s made with a semi-sweet chocolate because it’s less sweet and it’s a bit darker in colour than your typical chocolate milk. Again my 4 year old didn’t even notice the difference and my 12 year old did but enjoyed it still. I think if increasing your protein and lowering your sugar is important to you, Joyya milk would be a great way to accomplish that without sacrificing taste. JOYYA ultrafiltered milk contains no artificial flavours or colours and is made from 100% Canadian milk. Like all milk produced in Canada, it is also hormone and additive free. When unopened and refrigerated, JOYYA ultrafiltered milk stays fresh for up to 120 days from the production date. Once opened, it is recommended that JOYYA ultrafiltered milk be enjoyed within 14 days. It is available in four varieties. 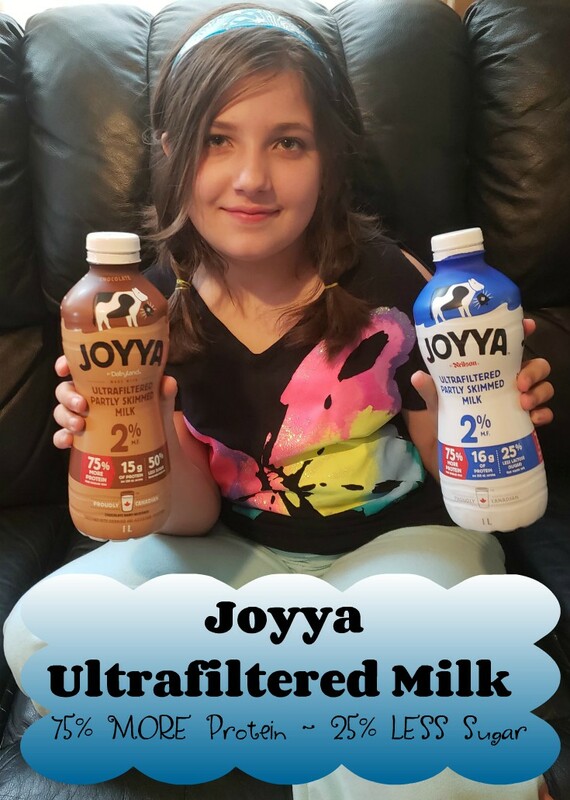 JOYYA ultrafiltered milk can now be found at Canada’s community grocers and independent specialty stores, with more retail outlets to come. Visit JOYYA.ca to find a store near you.